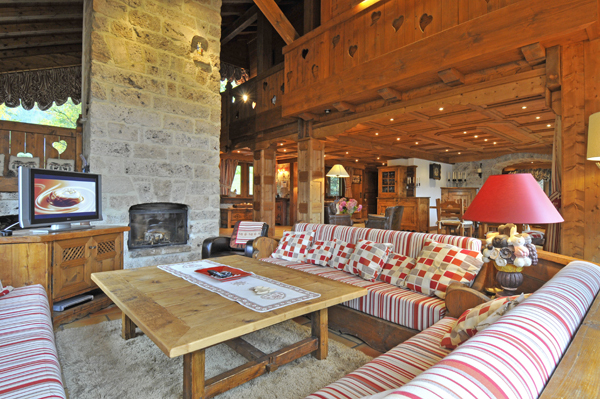 Chalet de la Tour is a modern rental property on the Mont d'Arbois that combines a simple, elegant structure with traditional touches. 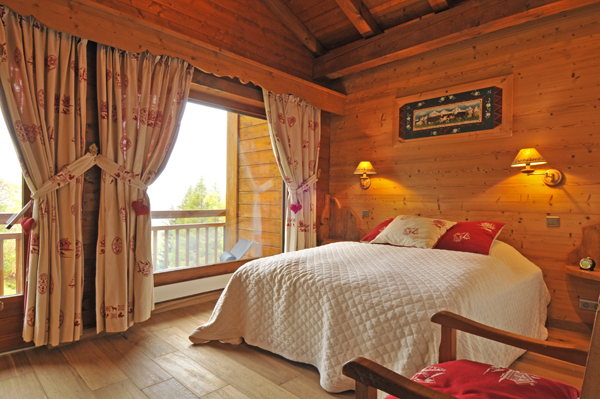 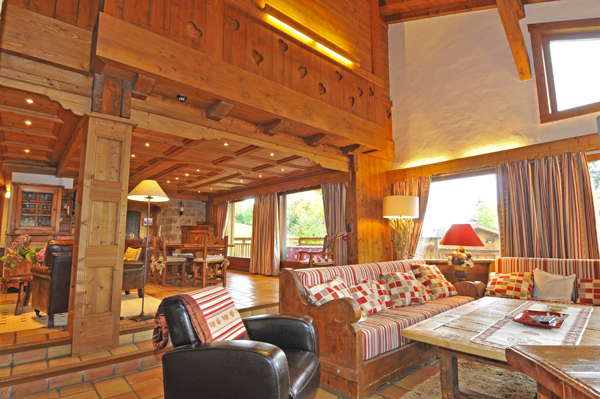 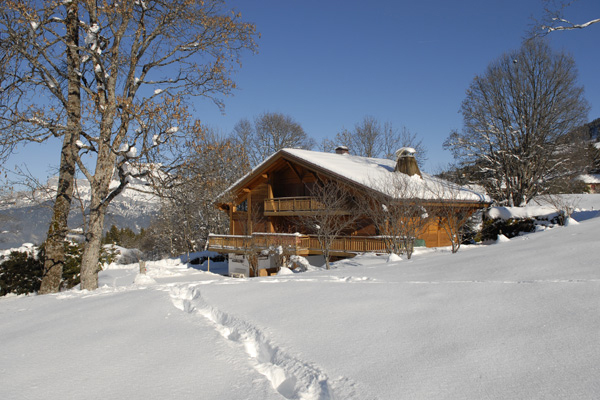 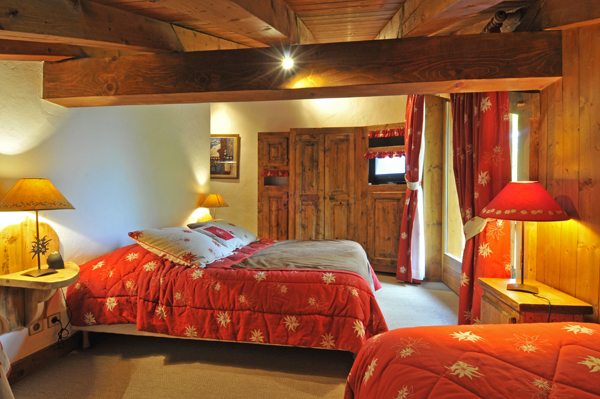 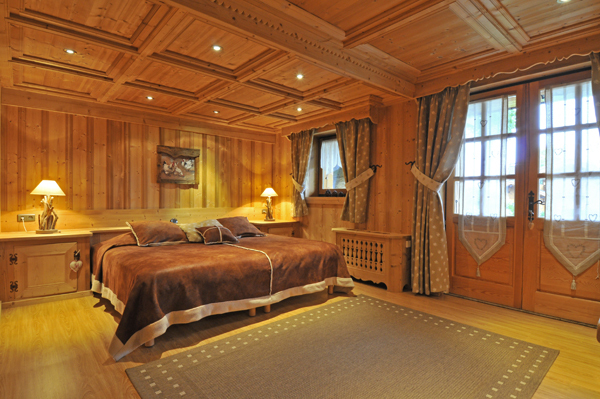 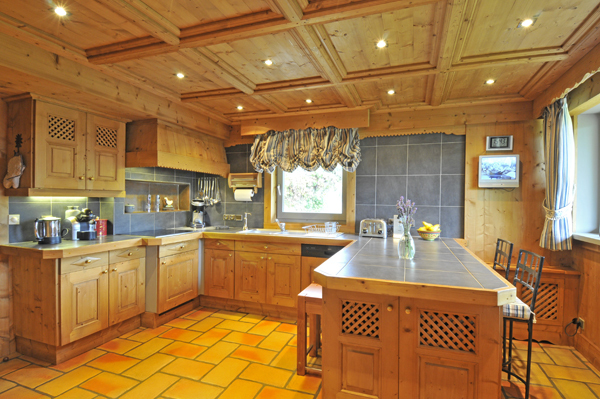 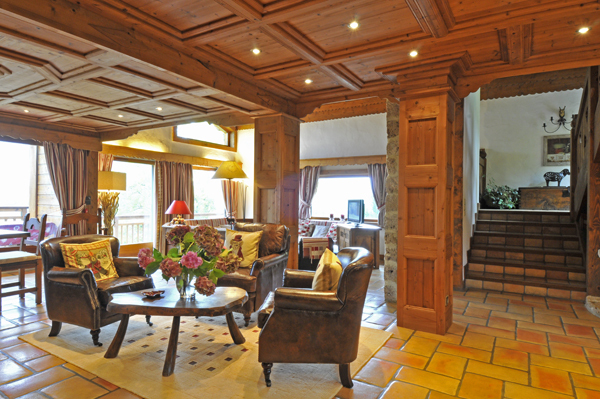 This chalet is situated only a 2 minutes (by car) from the ski lifts. 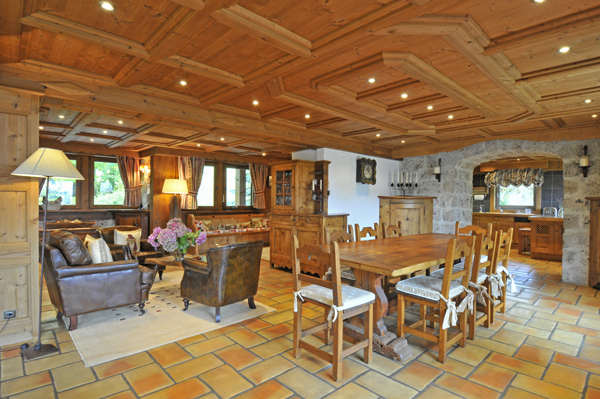 Large windows create a very bright ambience in the spacious open- plan living/dining and kitchen areas. 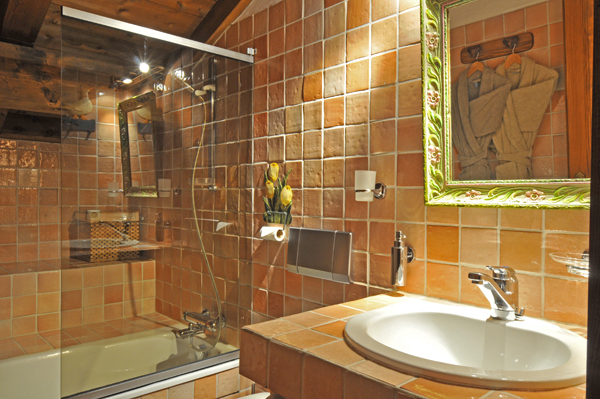 Natural materials such as stone, terracotta tiles and wood are used throughout. 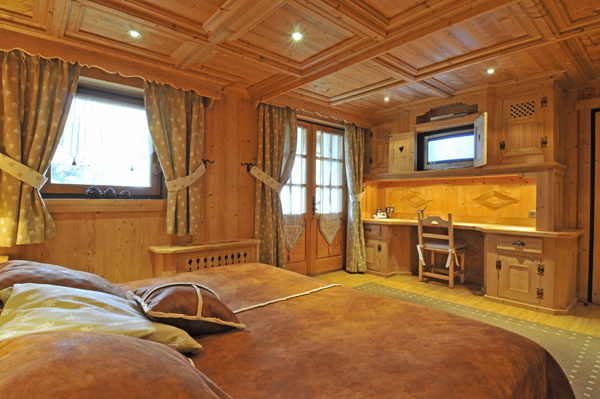 Only a 2 minute drive to reach the lifts, you can virtually ski down the street from your rental chalet to the lifts. 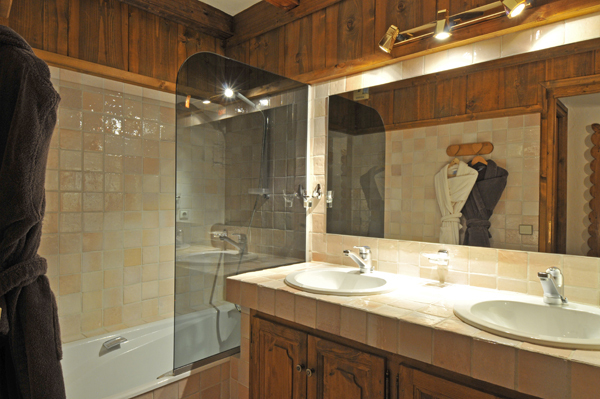 It is a very interesting option for a long rental, especially when fully serviced with daily cleaning, utilities and concierge services. 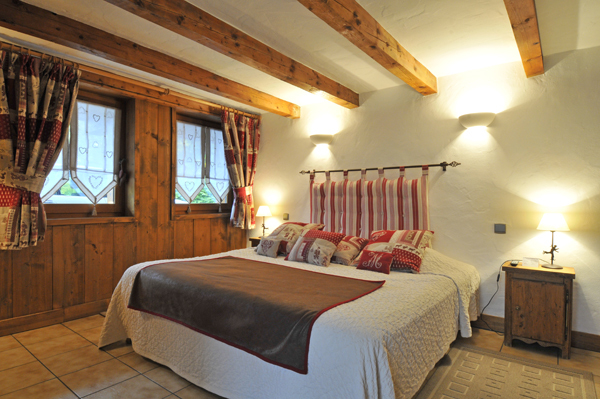 - a large double bedroom with bathroom and access to terrace. 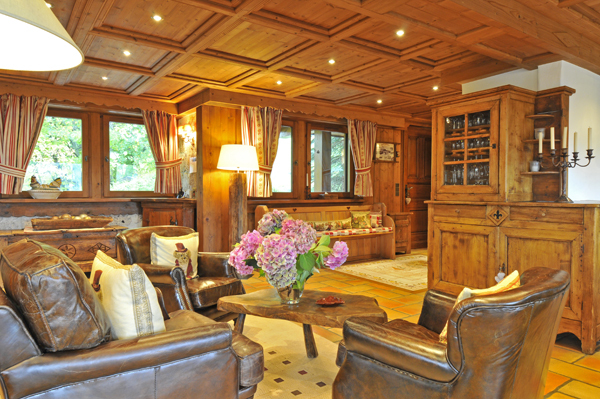 - a living room with fireplace and terrace. 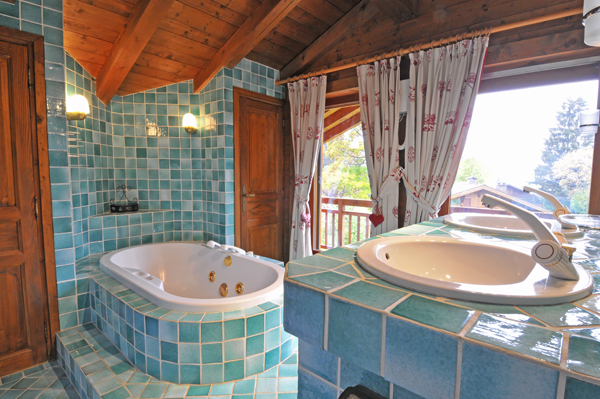 above the other and a shower.